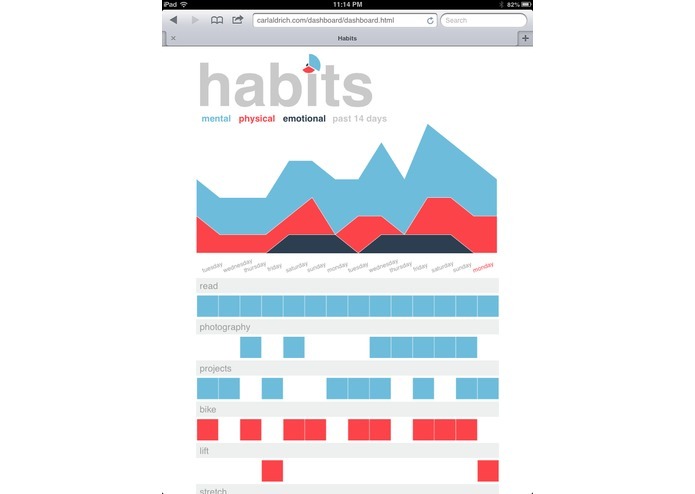 Habits is an overview of personal habits and how they are being performed over time, linked to a simple Google spreadsheet. I liked this idea because I am a big fan of the Lift app (www.lift.do), but I never felt like there was an easy way to see all the info I wanted in one simple place. 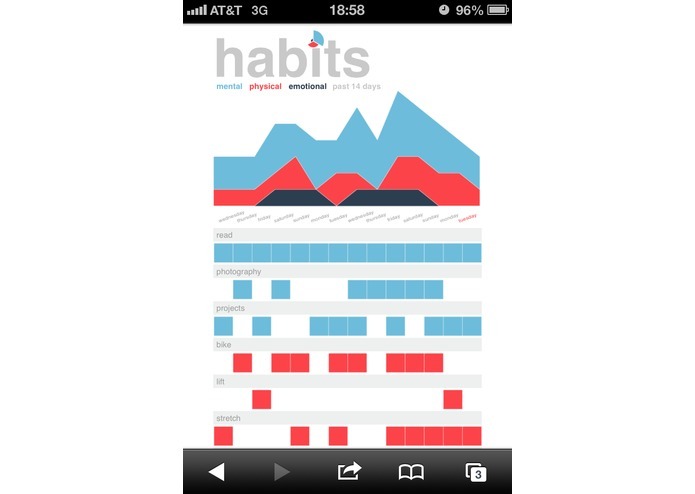 This challenge was a perfect excuse to build my own personal Habits dashboard. 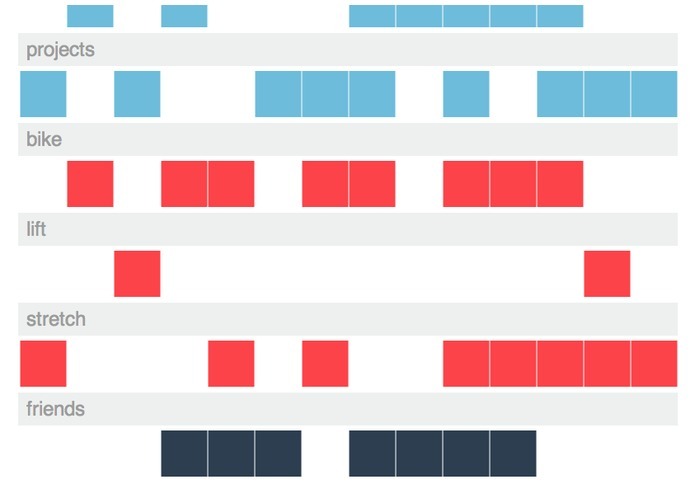 I chose to use Google's spreadsheet API in the absence of a public API from Lift. 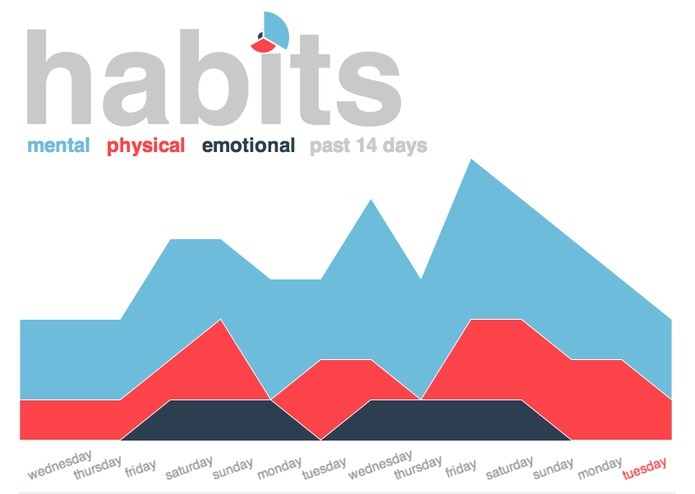 I wanted to do something unique with Chart.js - A Line chart shows, in a stacked area chart format, the historical trend for habits performed by type: Mental, Physical, or Emotional. I am using column charts to track whether or not a habit is performed each day. 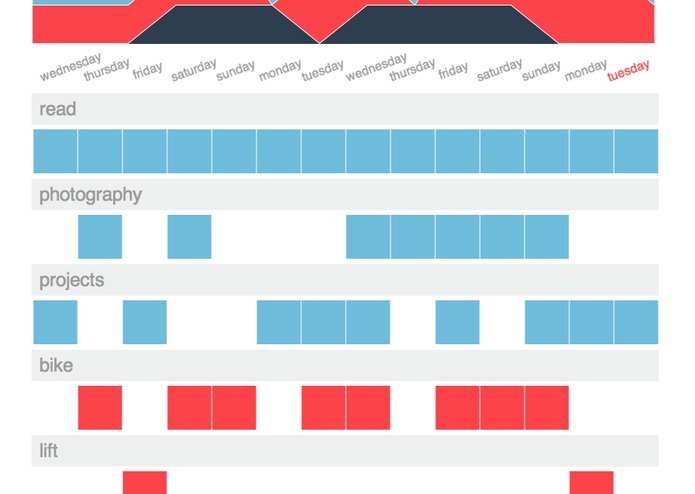 A Polar chart is used to accent the "i" in Habits, but it is linked to the live data as well as a "dynamic accent." In the future I would like to make this available as a tool into which anyone can plug a spreadsheet key to track their habits, or hook into the Lift API if one is made available. I am not a true developer, so the code is a mess, but getting better.